If there’s one thing we know for certain, Chicago is rich in architecture. 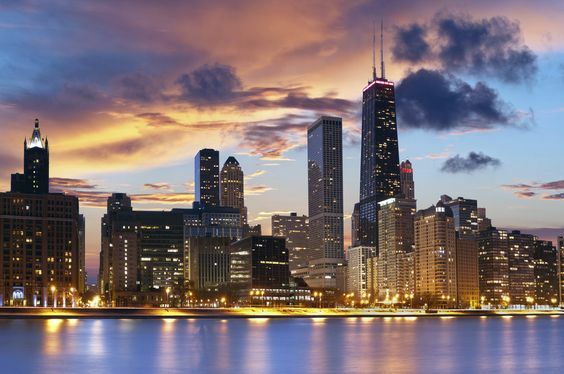 Recently voted as having the second best skyline in the world according to a USA Today survey, our mix of modern skyscrapers with historical high-rises makes for a perfectly eclectic view from Lake Michigan. To complement our newest Pinterest board, From Chicago with Love, and our collection of architectural items, we chose just a few of our favorite design marvels that can be found around Chicagoland. 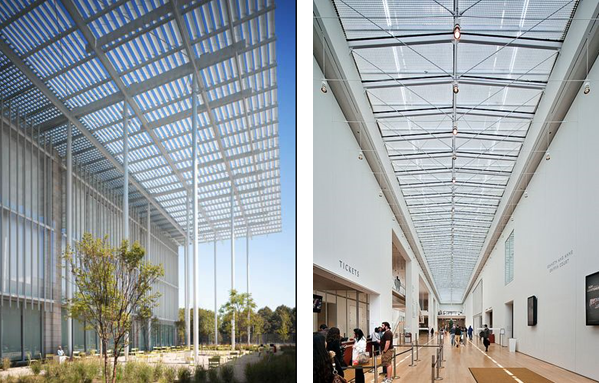 We might as well start out at home… Renzo Piano’s remarkable addition to the Art Institute of Chicago is a refreshing fusion of old and new. The Modern Wing, home to the Art Institute’s 20th -21st century art, continues its play of classical and modern themes inside with towering hallways and a glass ceiling that filters in glittering sunlight. Discover more of the nuanced details of Piano's work in our book, The Modern Wing - Renzo Piano and the Art Institute of Chicago. 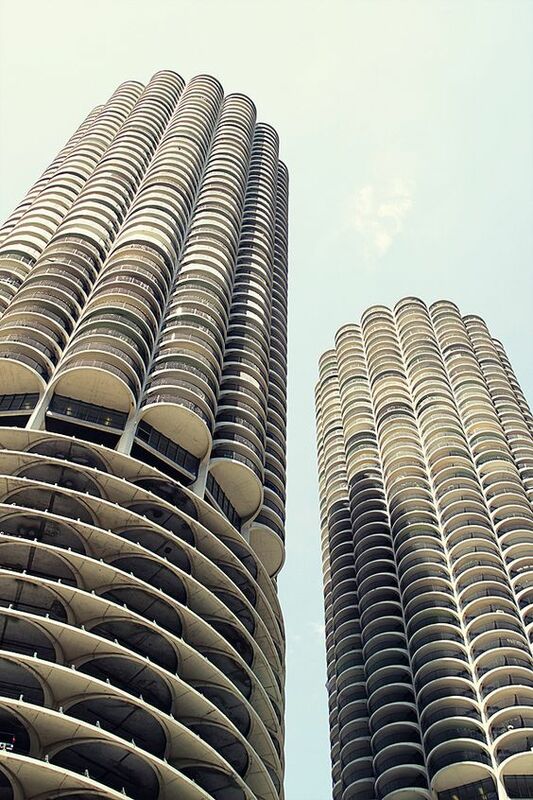 Designed in 1959 by Bertrand Goldberg and completed in 1964, the Marina City complex is world-famous for its corn-cob shaped towers, which take command over the Chicago River and Loop. This pairing only adds to the uniqueness that makes up Chicago’s cityscape. Learn more about visionary architect Bertrand Goldberg and his contributions to housing, urban planning, and industrial design in Bertrand Goldberg: Architecture of Invention. 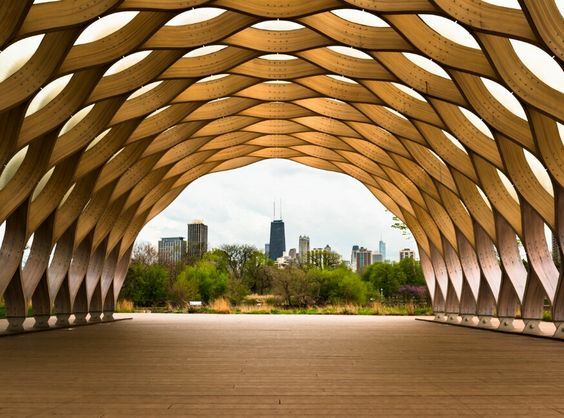 A stunning architectural statement located along Lincoln Park Zoo's nature boardwalk, the South Pond Pavilion functions as a classroom for yoga and educational activities. The tortoise shell design is made of pre-fabricated wooden planks, and the top is covered with semi-transparent fiberglass that controls how light is filtered into the space. In 1888, famous architect partners Burnham and Root designed the picturesque Rookery, located in the heart of Chicago’s financial district. However, years later in 1905, Frank Lloyd Wright® added his design of the building’s well-renowned sky lit lobby. Wright's belief was that "the space within becomes the reality of the building." 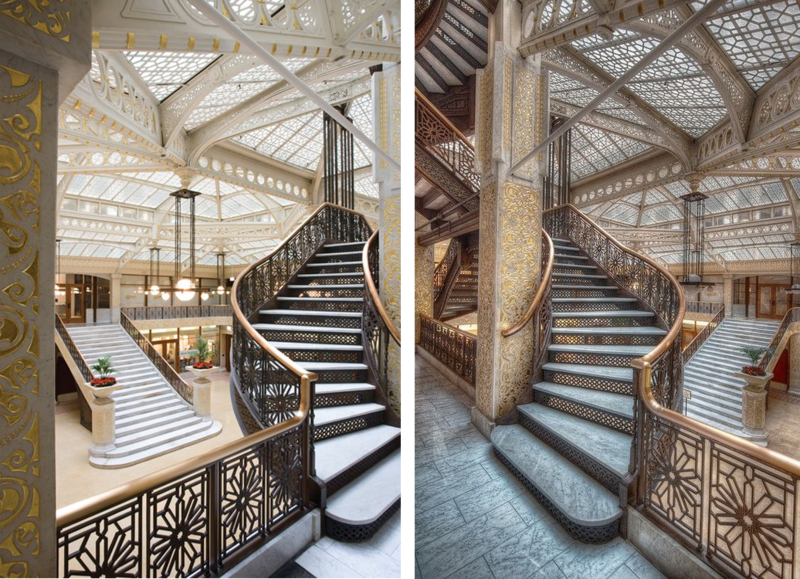 See exactly why Wright is right in The Space Within: Inside Great Chicago Buildings with original photographs that showcase the interiors of some of Chicago's greatest buildings. The Space Within will be available August 15, 2016 on the Museum Shop website. A hallmark of the Magnificent Mile, the Water Tower is more impressive for its history than its looks. Built in 1869, the Water Tower is one of the few structures to survive the Great Chicago Fire in 1871. Surrounded by Michigan Avenue’s shopping district, the tower now serves as a city art gallery that features work from local artists and photographers. Only a tiny sampling of the architectural gems that Chicago has to offer, join us on Pinterest as we uncover and share more stunning visuals from throughout the city and surrounding area. If you're feeling extra inspired, view our collection of architectural items here.